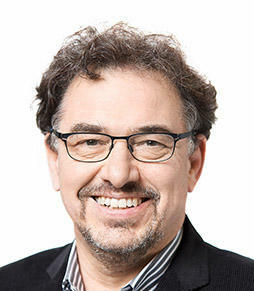 Professor of New Testament at the University of Zurich, Jörg Frey studies early Judaism and hermeneutics. He succeeded Martin Hengel as the managing editor of the monograph series Wissenschaftliche Untersuchungen zum Neuen Testament and is co-editor of the journal Early Christianity as well as editor of numerous thematic volumes. Frey has published extensively published in the fields of Johannine studies, Catholic Epistles, the Dead Sea Scrolls, early Christian apocrypha, and New Testament theology. His major publications include Die Johanneische Eschatologie (3 vols., Mohr Siebeck, 1997-2000); Die Herrlichkeit des Gekreuzigten: Studien zu den Johanneischen Schriften 1 (Mohr Siebeck, 2013; ET in preparation with Baylor University Press); Der Judasbrief und der Zweite Petrusbried (EVA, 2015; ET in preparation with Baylor University Press); and Von Jesus zur Neutestamentlichen Theologie. Kleine Schriften 2 (Mohr Siebeck, 2016). In his Drumwright Lectures, Jörg Frey, Professor of New Testament at the University of Zurich, Switzerland and one of the world leading scholars on Johannine literature, discusses the disputed relationship between theological interpretation and historical reference and between historical tradition and its theological renarration in the Gospel of John. Departing from John´s unique high Christology, the lectures discuss the difficulties and possibilities of the quest from historical tradition in John and the manner and intentions of John’s radical reworking of his traditions. Fifty years after J. Louis Martyn´s important book on History and Theology in the Fourth Gospel, explaining Johannine thought from the development of the Johannine community, Frey reverses the direction of research from theology to history. The lectures are based on a book released in the autumn of 2018 with Baylor University Press—Theology and History in the Fourth Gospel: Tradition and Narration. In the opening lecture, Frey discusses the character of John’s Christology as a high Christology that programmatically depicts Jesus as a divine figure, albeit in a still monotheistic or “binitarian” paradigm. The various Christological predicates will be discussed in their Johannine context, and John’s technique of exposing Jesus’s divine dignity in narratives and discourses will be described in order to become aware of the hermeneutical challenge of such a Christology, even for present day Christianity. The second lecture will depart from the high Christology sketched in the first lecture and discuss the various earlier and recent assessments of John’s historical source value and the methodological difficulties of the thorny search for the Jesus of history behind John’s theological narrative. Departing from some examples of possibly valid historical traditions and clear evidence of John’s replotting and retelling, the case will be made for acknowledging John’s unique approach of renarrating and the gospel story, which differs not only from his contemporaries but also from the interests of much modern-day religion and scholarship. Taking up the old characterization of John as the “spiritual gospel” (Clement of Alexandria), this lecture discusses the claim that the Spirit is the real author of John’s gospel story, which is actually a retelling of the tradition from a decidedly post-Easter perspective. From a brief look at John’s Paraclete sayings, the lecture develops the techniques of the teaching of the Spirit and its concerns, e.g., for making present the Jesus story and for a truthful understanding of Jesus’s passion. The lecture will also address the hermeneutical issues posed by the Johannine priority of theology over history and question the traditional opposition between facts and fiction. The Johannine legacy of the priority of theology over history is ultimately the priority of the gospel over against negative human experience, or, theologically speaking, the priority of God’s love for the world. You can watch or listen to our previous guests at the Drumwright Lectures media page. The Drumwright Lectures brings national and international leaders in the field of New Testament Studies to the Baylor campus for interaction with students. Church and community leaders are invited to participate in conferences as well as younger, developing scholars. For more information, please contact Dr. Todd Still.